Our students have numerous opportunities to do research projects in collaboration with faculty. 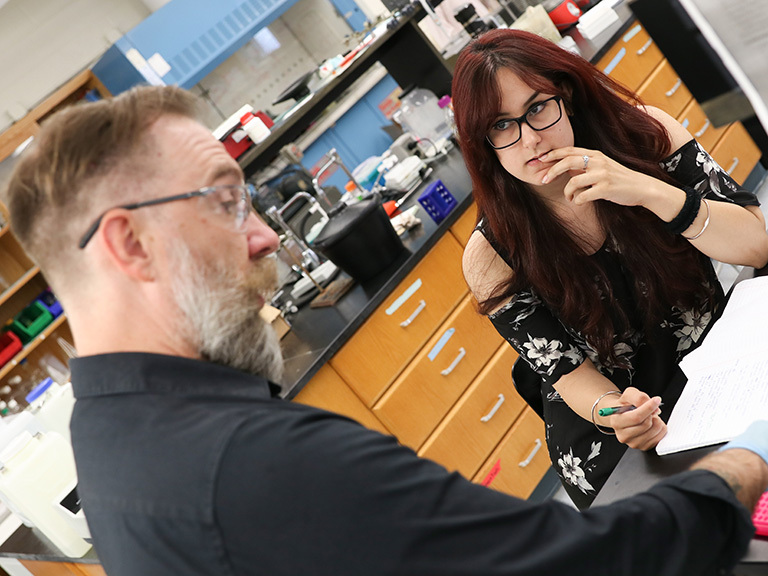 Our faculty are dedicated to mentoring students, and we work to support student-faculty research in every way possible. We provide many opportunities and resources for faculty and students interested in participating in research. Our Office of Grants Administration helps faculty secure funding from a variety of sources including government grants and sponsored research opportunities. The Center for Graduate School and Fellowship Advisement helps students understand the importance of undergraduate research experience in preparation for graduate school and fellowship applications. Research experience is important; it is vital preparation for graduate work and professional careers. That's why we provide many funded opportunities to do research at the undergraduate level. In addition to the specific research programs listed below, we also offer independent study projects where you can work with a faculty member on a research project for credit over the course of a semester. An exclusive opportunity for students in the School of Liberal Arts, the Branigan Scholars program supports creative or traditional research projects or facilitates student participation in a conference or internship experience. We support and prepare our students to pursue fellowship opportunities around the world. Pursue summer research at Manhattan College in collaboration with a faculty mentor. The Jasper Summer Research Scholars program includes a stipend, campus housing and workshops designed to develop your presentation skills and more. The School of Science offers several programs exclusively for outstanding science students to support hands-on research with faculty. The School of Science also organizes a student-produced academic journal, the Manhattan Scientist, which showcases student research papers. In 2018, more than 60 students participated in summer research projects at Manhattan College. The topics studied range from local environmental issues to historical analysis. The Office of Grants Administration can assist with obtaining grants and other research funding. Funding Opportunities for Faculty include infoEd Global SPIN, a database of funding sponsors. Lasallian Professional Development Programs encourage faculty to engage with the College's Mission by participating in a Lasallian Formation Program. 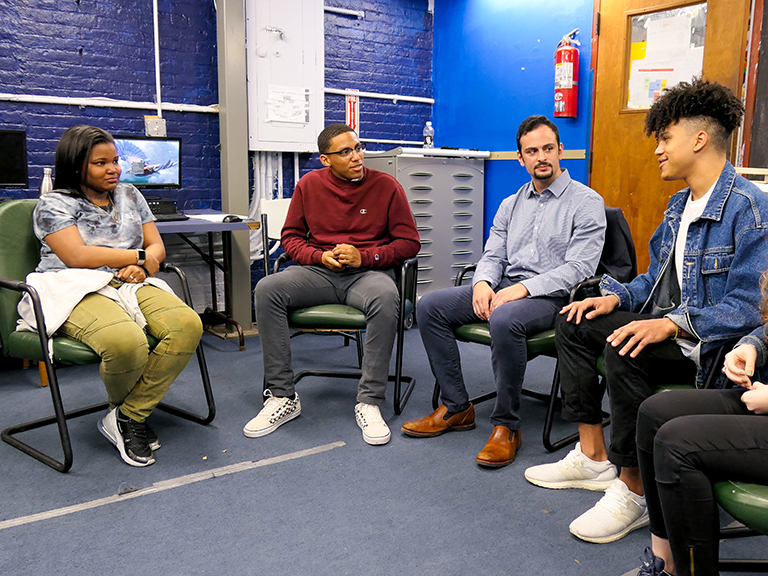 Visit the Inside Manhattan website for details about student research programs and faculty opportunities, including how current Manhattan College students can apply for research programs. Sign up to receive information about applying to Manhattan College and how you can participate in a research project.